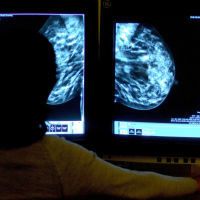 Cancer diagnoses in England have reached record-high levels, official new data shows. There were 299,923 new cancer cases in 2015 - the highest annual number ever recorded, according to figures from the Office for National Statistics (ONS). This is the equivalent of 822 each day. Men were treated for cancer in more instances than women, accounting for 153,061 (51%) of cases, compared with 146,862 female cases. Anyone with cancer can enjoy added peace of mind when travelling abroad by taking out medical travel insurance. The Department of Health (DoH) says the increase in the number of new cases is actually a good thing, and being diagnosed means people are able to get the treatment they need. A DoH spokeswoman said: "These figures are a tribute to NHS staff, who are diagnosing more cancers every year and increasing patients' chances of survival - survival rates are now at record levels. "We need to do even more, so are implementing the recommendations of the Independent Cancer Taskforce's five-year strategy, which will help make us world leaders in care, supported by an extra £300 million." Of the total number of new cancer cases, more than half are attributable to breast, prostate, bowel and lung cancer. Breast cancer accounts for 15.4% of all new cancer diagnoses in England, while 13.4% of new cases are attributed to prostate cancer. Lung cancer is the diagnoses in 12.5% of recorded cancers, and bowel cancer accounts for 11.6%. Caroline Moye, head of the World Cancer Research Fund, says the fact that more than half of cancer cases are considered to be "the most preventable cancers", it is vital that cancer prevention is taken seriously. She said: "Cancer cases are predicted to continue to rise, however this doesn't need to be the case. "About a third of the most common cancers could be prevented by eating a healthy diet, maintaining a healthy weight and doing more physical activity. That's around 80,000 cancer cases a year."